World of Warcraft has been losing millions of subscribers this year. However, new expansion Legion might be able to bring them back. Blizzard announced several features for the expansion that should make WoW veterans very happy. These features are changes that the game's needed for a long time. Maybe they'll be enough to get former players to resubscribe. Balancing player classes across both PvE and PvP in World of Warcraft has been a long-time struggle for Blizzard. They have to make sure that an ability is useful for dungeons and raids but not so powerful that it would give the character an unfair advantage in battlegrounds and arenas. Blizzard's solution in Legion is to offer a separate PvP talent system. As players earn Honor ranks, they can unlock special abilities that only work in battleground and arenas. In addition to making PvP balance easier to attain, this new system takes the focus away from grinding Honor and Conquest gear. Your choice of PvP talents and how you use them will matter more than your equipment. World of Warcraft's class-specific content has always been uneven. In vanilla WoW, Paladins and Warlocks could pursue lengthy questlines to get special mounts. Burning Crusade let Druids earn a special flight form. Many other classes never received this kind of special treatment. Legendary weapons, meanwhile, were typically well-suited to a handful of classes but not others. Blizzard's solution in Mists of Pandaria and Warlords of Draenor was to offer Legendary rings and cloaks that every class could use. However, the cloaks and rings blurred the differences between characters rather than making each feel unique. 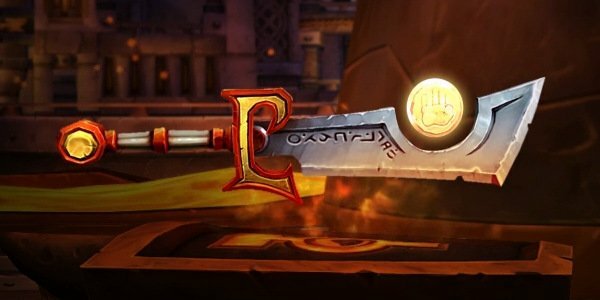 In Legion, Blizzard will allow each class earn special weapons called artifacts. 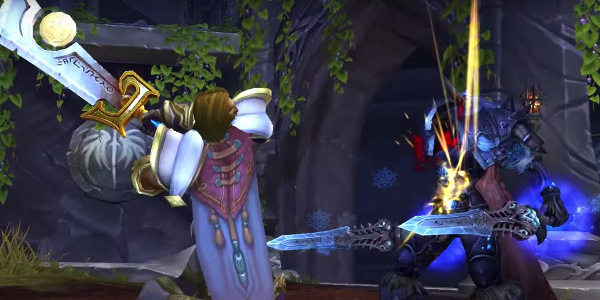 In addition to being uniquely suited to a character class, these artifacts are mostly based on weapons from Warcraft lore. Shaman can earn Thrall's weapon, Doomhammer, while paladins will acquire the sword Ashbringer. Players can customize artifacts so that they won't look the same as everyone else's. These weapons will go a long way toward making each class feel unique. Blizzard has been teasing the Emerald Dream, a spirit realm inhabited by animals and green dragons, since World of Warcraft launched. Players will finally be able to enter this world through a new raid called Emerald Nightmare. In this 7-boss raid, they'll face a dark force that has corrupted the Dream. 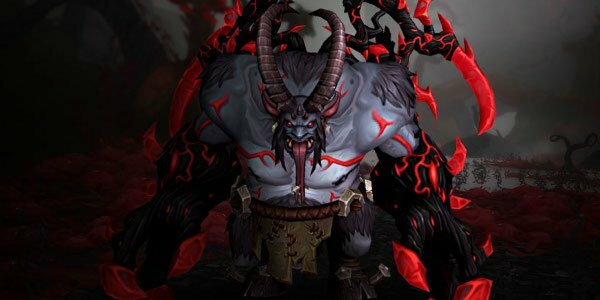 The raid culminates in a fight against Xavius, an important villain in the series' lore. An entire expansion pack centered around the Emerald Dream probably wouldn't work but it sounds like a great setting for a raid. It was a thrill to own and build up a garrison in Warlords of Draenor, but the feature had definite drawbacks. For starters, it isolated players from each other. Instead of being in a city with other members of your faction, you were in a fortress by yourself. Legion will try to correct this problem with Class Orders, themed bases shared by every member of a class. For example, Paladins will convene in a stronghold underneath Light's Hope Chapel. 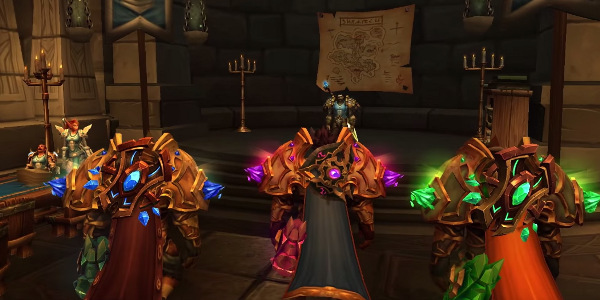 Class Orders also improve on the garrison follower system from Draenor. Players will now recruit a smaller group of followers called Champions. These Champions are more customizable and in many cases are characters from established lore. Furthermore, you don't just send them out on missions. Instead, they're more likely to help you on your own quests. Blizzard really seems to have taken criticisms of the garrison to heart.